Your online source for Judaica gifts, Jewish wedding gifts, bar mitzvah gifts, Jewish holiday gifts, as well as art from the top Judaica designers in the world. With over 45 years of combined merchandising experience, you will find the most comprehensive selection of mezuzot, books, ketubot, tallitot, framed art and other fine Judaica. 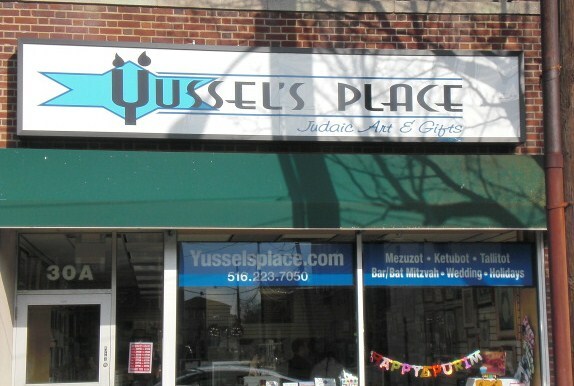 If you are looking for excellent service and selection, Yussel's Place is the place. We Ship Green...All Boxes and Packing Materials Are Recycled. Our brick & mortar store is located at 30A Merrick Avenue in Merrick, NY, where we've been located for the last 30 years.